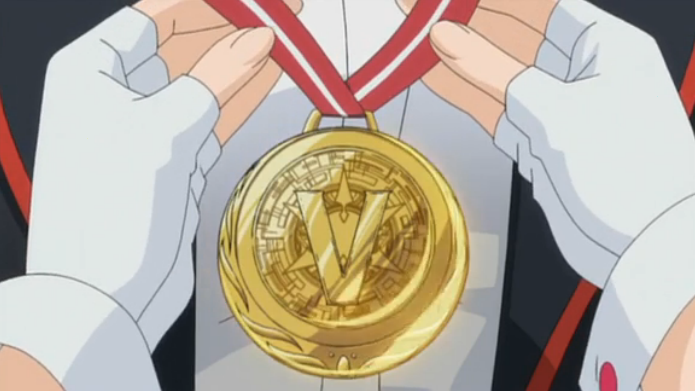 Cardfight Vanguard 22 – what is this sensation? 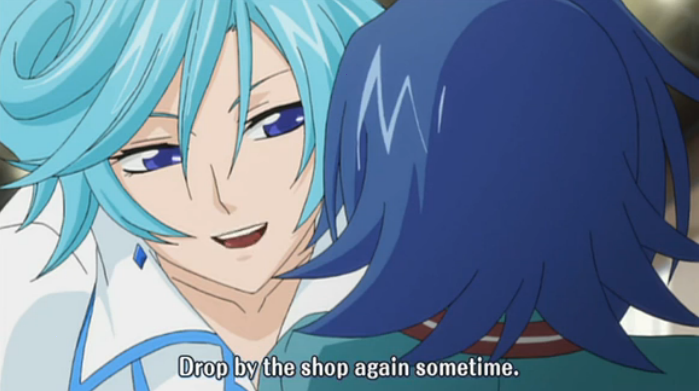 Aichi gets an unexpected invitation. Episode 22 of Cardfight! Vanguard completes the regional tournament arc. There was also the suggestion of some sort of supernatural event. V stands for Vanguard, but in this case it also stands for Victory. So Team Q4 won. That was pretty clearly going to happen. It opens up the possibility of another season, or OVA, focused on the national tournament. The match against Gouki lasted almost two complete episodes, so it felt like they placed a sufficient amount of emphasis on the events. In fact, the length of the match was a critical part of Aichi’s victory, as he was able to drain Gouki’s hand, thus creating an opening for the final blow. Aichi also ended up using a new card, that was a bit of a surprise, especially to Kamui, who had advised him to remove the card from his deck on the ride to the event. "Why don't you come up and see me some time?" So a couple of things: first, something happened during the match, something supernatural? and second, Aichi is invited back to PSY, the card shop run by Ultra Rare. The supernatural event was a sensation that Aichi had (he says he thinks the cards are calling out to him), but Kai, who was sitting off to the side, seems to have “seen” something. It is unclear whether this was some thing that happened, or just an indication that Aichi and Kai are very attuned with the Vanguard cards. Kai always makes a big deal about imagining what is happening, and the card shop is called PSY, so there could be an esper-like thing going on. And finally, I knew that Ultra Rare wasn’t going to just disappear! There seems to be a battle coming at PSY that will end up being the true finale. They also FINALLY showed the redheaded member of PSY in the preview, so it seems she is the true final boss. I’m looking forward to seeing what is going to happen at PSY next week. Comments Off on Cardfight Vanguard 22 – what is this sensation?